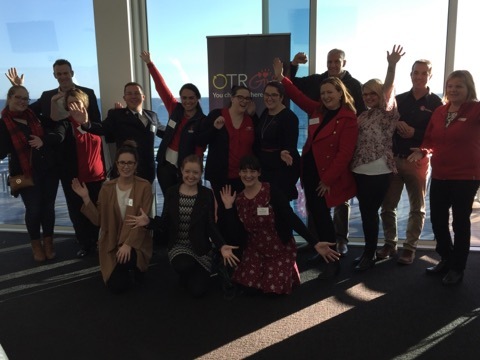 OTR commemorated the third stage of their OTRGive program with a special event at the Henley Surf Life Saving Club this Tuesday. The OTRGive initiative is a part of the OTR app which conveniently allows for you to place a donation to your charity of choice while ordering your favourite coffee ahead of time. The Shahin owned Peregrine Corporation which invests around “fifty million dollars in South Australia annually” is now giving the Adelaide people a chance to refuel, rejuvenate and reinvest profits of their purchases into causes that matter. Among the causes available for customers to donate to (at no extra cost to them) are The Salvation Army, Skylight and Novita. “Ultimately every cent that comes our way will be able to go towards folks that present to us each and every day […] as we are ultimately striving to put hope back into people’s lives through difficult times”, said Major Jeffrey Walker a Salvation Army officer for the past twenty five years. The event itself was filled to the brim with jovial spirit, giving charity workers and Peregrine employees an array of tantalising platters from brands associated with the business. 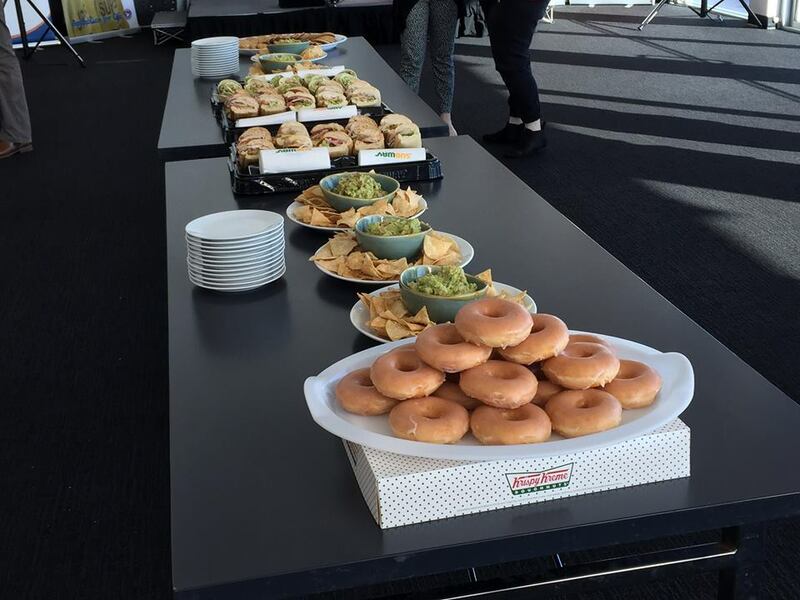 Among this assortment were delectable Krispy Kreme doughnuts, the unique tastes of Guzman y Gomez, well established brand Subway sandwiches and their crowd pleasing cookies. Bartending staff looked on with smiles as those from all walks of life gathered in one room to welcome the bold new move in the spirit of Fred Shahin’s renowned generosity. “If all our customers were to transition to a smartphone and scan and preorder as we imagine the future might be, we’d be looking at north of four million per year, although we don’t think that’s likely. […] Australia has one of the highest adoption rates for smartphones in the world, which is north of 90%”, said brand manager Simon Rudduck. Despite the current aspiration for a million dollars, Rudduck has high hopes for the future of Australia and for the future of the program. Speaking with event staff, they were enthralled by OTRGive and the advent of South Australians actively engaging with charity. “Well, most corporate companies have a responsibility to be a ‘good corporate citizen’, which means giving donations or supporting a certain charity or anything to that regard. 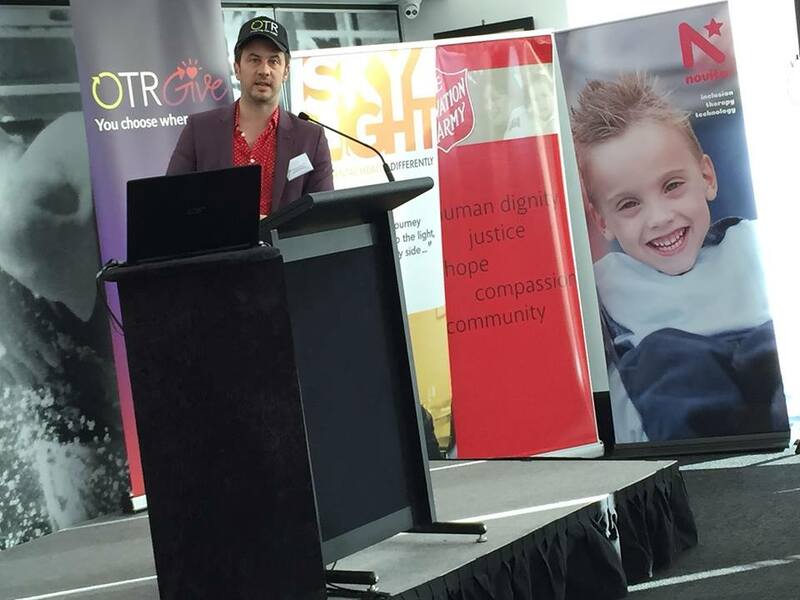 What I find interesting about this [OTRGive], is that it’s giving the choice to the consumer as to where their money goes, which I think is quite cool”, said sound manager for the event Brett Moyle.